The Massacre of the Innocents in Bethlehem, an early masterpiece by Rubens and the most valuable Rubens ever, is to be seen exclusively at The Rubens House beginning 26 September. The Art Gallery of Ontario (AGO) is loaning the masterpiece out especially for the Baroque year. The arrival of the painting is one of the main highlights of the city festival ‘Antwerp Baroque 2018. Rubens inspires’. The Art Gallery of Ontario and the Rubens House are excited about their exceptional collaboration at the end of September. 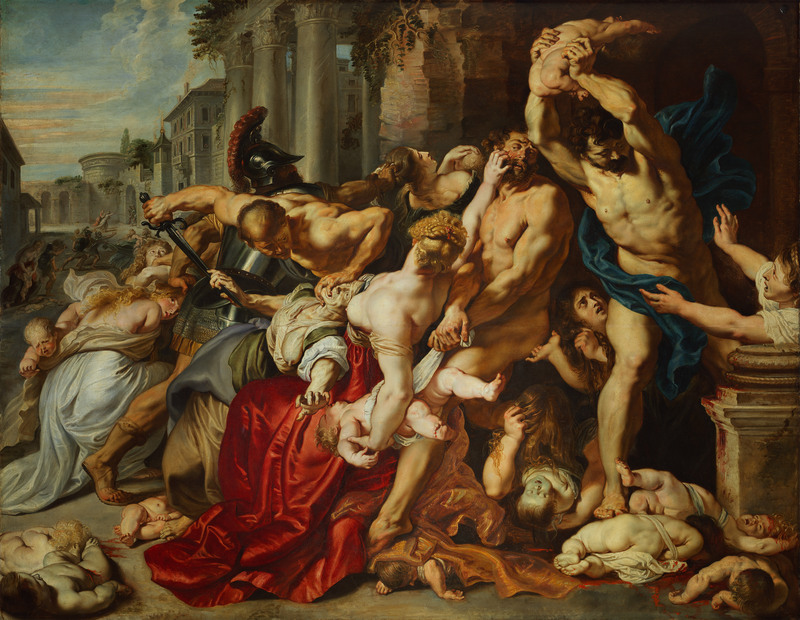 The monumental The Massacre of the Innocents that Rubens painted directly upon his return from Italy, comes back home for a while in the context of the city festival ‘Antwerp Baroque 2018. Rubens inspires’. The writhing composition is one of the masterpieces of the Art Gallery of Ontario. The work is brimming with drama and violence. With the many references to classical antiquity, the young Rubens presents himself as a proficient ‘pictor doctus’, a learned artist who works his intellectual acumen into his oeuvre. The work depicts a biblical scene. When King Herod learned that a new king was born in Bethlehem, he feared for the end of his reign. As a reaction, he had all of the young boys of two years and younger murdered. The history of the painting is simply spectacular. The painting quickly made up a portion of prestigious collections, but it was incorrectly attributed to various masters since the 18th century. In 2001, specialists clearly recognised the hand of the master in the Baroque formal style. The discovery of the supposedly lost painting by Rubens was big news, and the work was sold. At the auction at Sotheby’s in 2002, it garnered a record amount of £49,5 million, by which The Massacre of the Innocents was the most expensive work ever by the Old Master. The painting was bought by the Canadian businessman and collector Ken Thomson, who gifted it to the Art Gallery of Ontario in Toronto. It is one of the masterpieces there, and it has not travelled since its arrival in 2008. As of today, The Massacre of the Innocents is still the most expensive Rubens ever. Already for some time now the Rubens House has been in dialogue with the Art Gallery of Ontario in order to exhibit the work temporarily in Antwerp. Both museums are then also especially honoured. From 26 September 2018 up to and including 3 March 2019.